Ahead of his heavyweight title unification bout against New Zealand’s Joseph Parker 24-0 (18) at Principality Stadium in Cardiff, Wales this Saturday night, British heavyweight kingpin Anthony Joshua 20-0 (20) has revealed the boxer he models himself after isn’t heavyweight icon Mike Tyson, but someone from the lighter weight classes. “I don’t want to be the baddest man on the planet like Mike Tyson,” said the IBF, WBA and IBO world champion. “No, no. I want to be the smartest fighter on the planet. The 28-year-old Olympic gold medallist says that his clean-living lifestyle is closer to that of the recently-retired Grand Rapids, Michigan-native than of notorious carouser Tyson. “Do you see me out anywhere? Do you hear anything about me? You don’t hear anything like that. I worry about myself, and challenge myself. I don’t get caught up in anything,” said Joshua. 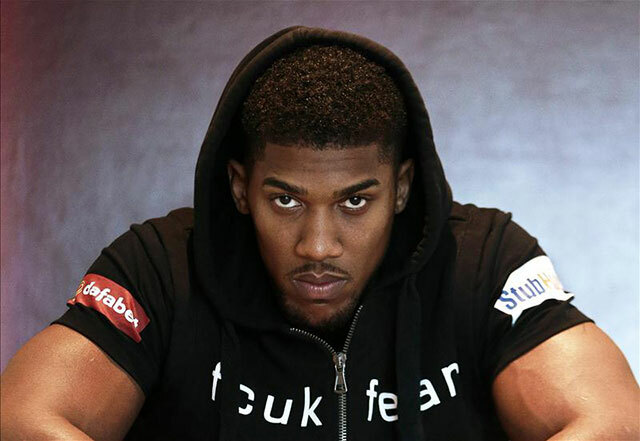 Joshua, who turned pro less than five years ago, has been on a fast-track to world championship glory since winning gold at the 2012 London Olympics in the super heavyweight division. “Since I’ve started watching a lot more athletes, I’ve learned you have to be disciplined. You learn how to improve and what your goals are and how to achieve them,” he said. “I’ve always said it’s not about the belts, even though they are great. Even Mike Tyson said ‘What are these? They don’t mean nothing anymore’. I’m not doing it for them.